This feature is, obviously, convenient for a variety of reasons. Many of us are forgetful (e.g., me) and don't always want to rely on Android's downtime rules to determine when we do or don't want to hear notifications. The problem is that when you go to mute your phone at night manually, you may forget to unmute come the next morning. 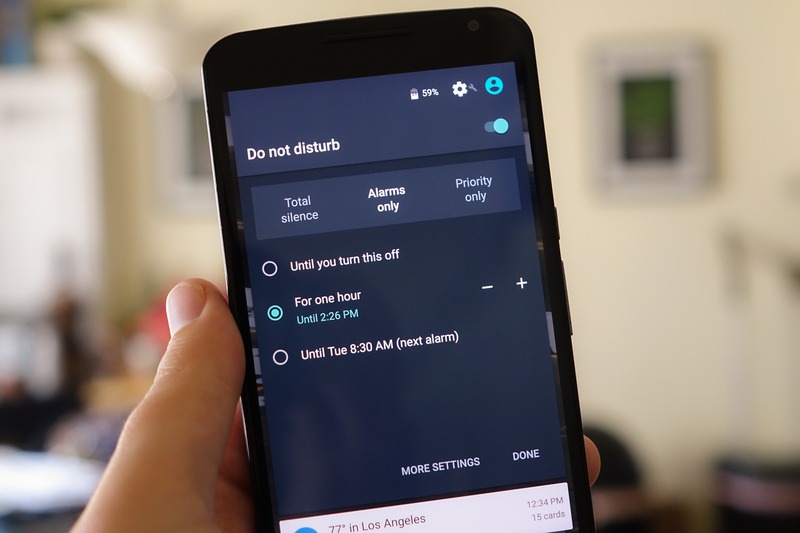 The "until next alarm" feature of priority interruptions was, then, quite useful: you didn't have to remember to unmute your notifications so long as you had an alarm set the next day. And you didn't have to do math, a la the "for X time" option. With Android 6.0.1, the "until next alarm" feature makes its triumphant (or rather quiet, I suppose) return. Good to know!